Prince to play Liverpool’s Cavern? No say officials! Following his Electric Ballroom shows in London, reports surface that Prince will play Liverpool’s iconic Beatles birthplace The Cavern – here’s what’s really happening. Prince‘s whirlwind media frenzy continued this weekend as rumours surfaced that he is due to play Liverpool’s Cavern Club. Internet whispers began on Thursday evening on social media, reminiscent of Tuesday’s flurry of online reports when Prince played a late-night open soundcheck at Camden’s Electric Ballroom. The rumours have gathered momentum this weekend, coincidentally on the day Cavern Club officials are spearheading a tourism drive in New York to mark the 50th anniversary of The Beatles‘ invasion of America. A source reports a Liverpool venue promoter has tried to book the Minneapolis legend this month but has been told by Prince‘s management that a venue has already been secured. The Liverpool delegation, which also includes Lord Mayor Gary Millar, deputy mayor Wendy Simon and Cavern Club Beatles are this weekend taking part in a series of 50th anniversary celebrations as part of a whistle-stop, 10-gig trip to the States. Cavern Club Beatles tonight play at The Town Hall Theatre in Times Square on February 8. The next day, the 50th anniversary of The Beatles’ breakthrough appearance on the Ed Sullivan show, they will play at the Hard Rock Café in Times Square. 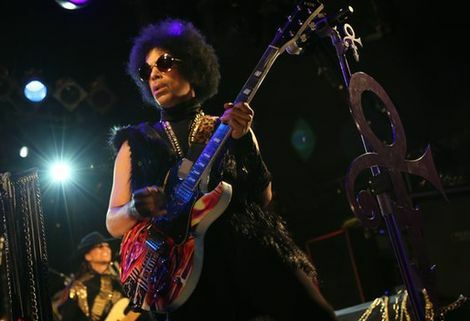 Prince announced his arrival in London in spectacular style last night with a flurry of late night hit and run shows. After flying in straight from their all night launch party for debut single PRETZELBODYLOGIC in New York City on Sunday evening the band began their stint in London with an intimate press conference in Lianne LaHavas‘s east London living room. Playing acoustically Prince & 3RDEYEGIRL previewed two tracks from the forthcoming PLECTRUMELECTRUM album. A fittingly intimate and special location, this was the first in the series of surprise Hit and Run shows, with many more exciting events to follow through February. 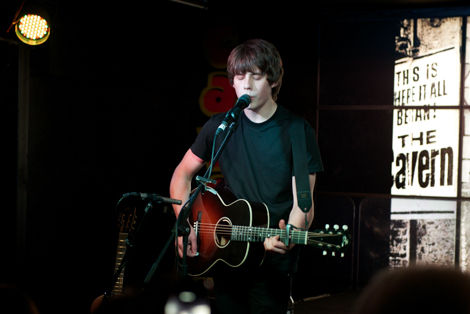 Following the press conference the band moved to Camden’s historic Electric Ballroom where they played a 60 minute spontaneous jam session to a few hundred lucky fans who were tipped off about the session just an hour beforehand via Twitter. The show included characteristically guitar-driven tracks including Chaos & Disorder‘s I Like It There, I Could Never Take The Place Of Your Man and a reworking of Wild Cherry‘s Play That Funky Music. It remains to be seen whether back in Liverpool, Prince will be gracing the Cavern Club Stage this weekend. UPDATED: As expected, Prince will not be playing Liverpool this weekend, with his London residency continuing tonight at Shepherds Bush Empire. Doors 7pm, show starts at 8pm. Tickets are expected to be priced a whopping £6-£10. Betcha By Golly, Wow. Getintothis on 2013 – the year in Prince. Prince and the best seven Super Bowl half-time shows of all-time. Prince twitter 3rd Eye Girl reveals new website, hints at tour and drops new jams. Prince: The Last Great Rock & Roll Megastar.